I like pretty much all of Röyksopp‘s catalogue, so it would be hard for them to disappoint me. I fell in love with Melody A.M. when it came out in 2001. Nobody else was doing that kind of music at the time. That funky groove set them apart from their electronic contemporaries. The Understanding was even better, and Junior is probably their best album up to date. I have listened to all of their tracks a lot, even the rare b-sides, the instrumental bonus disc of The Understanding, the all-too-calm Senior and every single track they’ve put out since then. 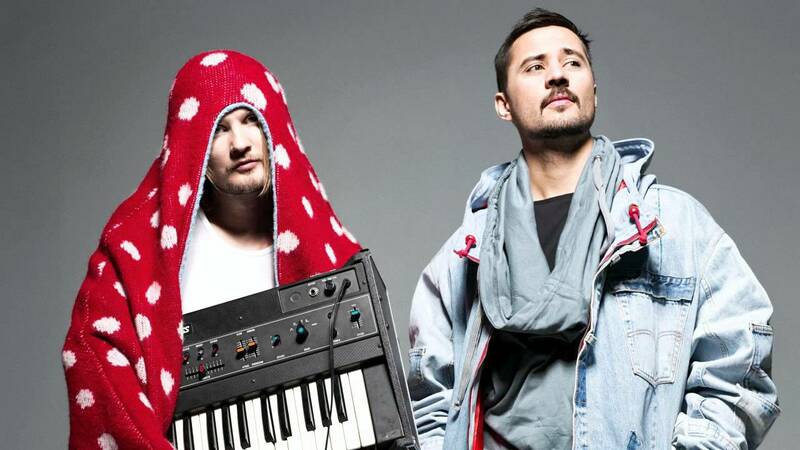 In addition to Pet Shop Boys, Röyksopp has been one of the greatest influencers in the formation of Unzyme’s sound. Röyksopp has always sounded timeless, even though they use a bunch of very old gear. They always manage to make every single synth sound juicy and sometimes outrageous. I really love their growling basses. Out of the three Lost Tapes tracks released so far, I Wanna Know is the greatest. They’ve released this song previously as “Track of the Month” at Royksopp.com back in 2010, which is where I remember it from. I remember liking the track, but having to fire up a music file player seems to tedious these days, and thus the track has gotten very little attention since its release. The Inevitable End was stated to be the last album they’ll ever release, and they would continue to release single tracks. This decision was made back in 2014, and it makes perfect sense now. Everyone can pick their favorite tracks on streaming services, and they can only listen to the tracks they really like. Waiting for an album to be released is actually kind of a disservice to the fans, as they are likely to make their own collections anyway. And for an artist to stay relevant, more music needs to be released. Every release is a chance to get discovered, so the more often you release, the more chances you’ll get. Not that Röyksopp would really be in desperate need of new fanbase, but reaching new people more easily is just one of the benefits of releasing tracks one by one. I Wanna Know sounds more like The Understanding era of songs than Junior era, which it seems to be from. Maybe that’s one of the reasons of not including it on the album. On top of that, Junior is full of better songs. This is a nice track, but there isn’t as much movement as I’ve grown to expect from Röyksopp. I kind of need more contrast between sections, but this track just seems to go full speed all the time. The lack of contrast and change makes the song kind of slip by, even though there are some fine details, like the guitars, the funky stuff, the piano melodies and the awesome beats. I guess it’s the lack of concentration that makes this a tiny bit messy. But that kind of rawness is also appealing, as you can hear the fun they had writing the song, just throwing in all of the ideas and tricks they had in their sleeve that day. The song feels liberated and jam-like. Still, I think that this song could hit even harder with a more selective pacing of the elements. Anyway, an average Röyksopp song is always miles ahead of anyone else so, I added this to my “Fresh Electronic Pop” playlist on Spotify.